Cabinets can be a costly endeaver. You may want to consider refacing rather than replacing. Whether you are replacing or refacing cabinets it will easily pay off in the increase of your property values especially when it comes to the kitchen. Your cabinets may still have a strong structure but the exterior is worn and old, why not just reface with a new coating or door replacement. Additionally you may want to replace the knobs and hinges. Decorative Specialties manufacture quality wood cabinet doors and have inexpensive simple solutions for your cabinet needs. 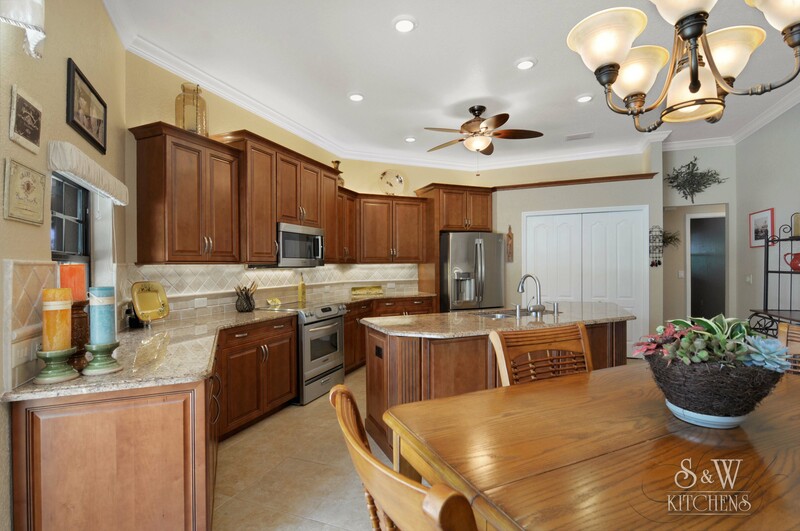 They can provide everything from a few custom size replacement cabinet doors to a complete cabinet refacing system that includes hinges, knobs, drawer boxes, cabinet refacing materials, and moldings. S & W Kitchens can transform your old and outdated kitchen cabinets into something beautiful and exciting in a manner of days. Cabinet refacing is the process of removing the old doors and drawers and covering the old cabinets with a maintenance free laminate with over 20 beautiful color selections. The old doors and drawer are replaced with new door and drawer fronts matching the color with many designs to choose from. We also offers Many countertop materials including Formica Laminate countertops with all premium colors. Kitchen cabinet refacing is a terrific option to consider if your want a whole new look for your kitchen without breaking your budget. There are hundreds of styles, materials and colors from which to choose. With kitchen cabinet refacing your old doors and drawer fronts are discarded and replaced with brand new custom built ones. Then all the outside surfaces of your kitchen cabinets are covered with either a real wood veneer or laminate depending on your door material. Self closing hidden hinges are added to the doors along with all new trim and molding. When it is complete you have what looks like a brand new kitchen without the mess and inconvenience of a complete tearout in a fraction of the time and for substantially less money than replacement cabinets. Additional cabinetry - Add the extra storage you've always wanted. New island - Increase your countertop and storage space—even add a sink, cook top, bake center, or butcher block! New pantry - Store your food, appliances, and dishes so they're easy to see and reach. Perfect for warehouse-bought "super-sized" grocery items. New roll-out shelves - Maximize your storage and put "back shelf" items at your fingertips! New drawer boxes - Replace drawer boxes with new, easy-to-pull custom-built boxes. New sinks and plumbing - Add, replace, or move a sink, garbage disposal, or dishwasher. New appliances - We'll help you review features, determine sizing, visit our showroom to see all the latest brands, we will also complete any installations. Built-in wine rack - Display your good taste in style! New moldings - From baseboard to crown molding, we carry a wide range of styles to complement your kitchen. New lighting and electrical services - Low voltage under cabinet Xenon lighting can add ambience and improve illumination for task-specific work areas. We can also add electrical outlets and make other helpful changes. New glass doors - Showcase your dishes and glassware with glass cabinet doors. Dozens of styles are available, from single panel glass to artistic hand-blown or tinted specialty glass options. New handles and knobs - Choose from our wide range of handles and knobs, or supply your own for us to install in your new cabinet doors and drawer fronts.